You’ve probably seen pictures of superstars like 64-year-old Christie Brinkley and 49-year-old Jennifer Aniston flaunting impossibly youthful, glowing skin. It’s enough to make anyone wonder, what’s their secret? As it turns out, the secret to beautiful skin isn’t an expensive treatment or exclusive procedure. It’s affordable for anybody who values healthy skin, and it’s even incredibly simple to use. The secret is collagen! Collagen is available in supplement form to nourish your body on a continual basis. 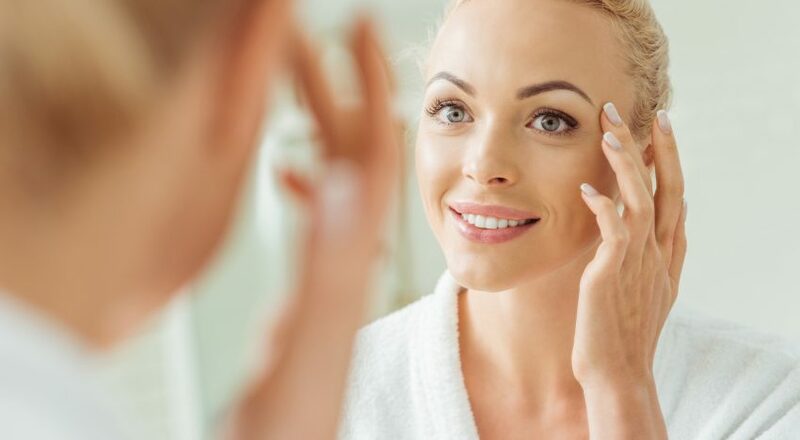 Check out the following proven tips to learn more about the best way to take collagen for your skin. As the most abundant protein in your body, collagen does everything from keeping your skin healthy to protecting your organs and lending structure to your joints. Its many essential duties in the body make collagen a building block necessary for life itself. As collagen is produced, it forms a thick fibrous network of cells in the dermis, which is the middle layer of your skin. This network of collagen keeps hair and skin structures strong and protects them from dangerous substances. This analogy explains why women notice signs of skin damage as they get older. Wrinkles, cellulite, and stretch marks all develop because the skin lacks enough collagen to remain taut and full. What Are the Different Forms of Collagen? Start Restoring Your Youth NOW! Do your knees ache when you stand up or sit down? Is your hair weak, brittle, and falling out every time you wash it? 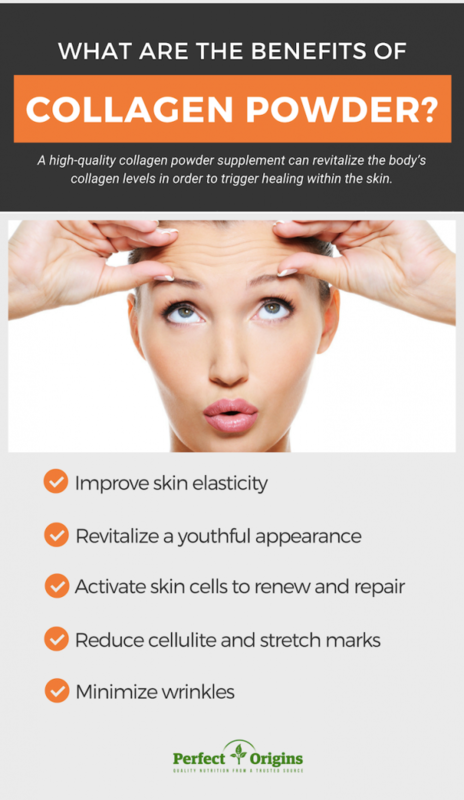 CLICK HERE TO LEARN MORE ABOUT TBM NATURAL COLLAGEN. While each form of collagen has its perks, collagen powder is by far the most effective and powerful for skincare purposes. Why Is Collagen Powder the Best Way to Take Collagen? Collagen molecules are large in size, so rubbing collagen cream directly on your skin won’t produce results. Your skin can’t efficiently absorb such large molecules, so most of the collagen goes to waste. Collagen pills are simple to use, but they don’t deliver the potency that is needed to support significant or lasting results. Of the many types of collagen, collagen powder distinguishes itself as the most powerful supplement. It’s tasteless, odorless, and dissolves in solids and liquids alike, so you can add collagen powder to any meal or snack. Signs of aging on the skin, like wrinkles and stretch marks, are frustrating and disappointing. Fortunately, a high-quality collagen powder supplement can revitalize the body’s collagen levels in order to trigger healing within the skin. The best collagen powder supplement for your skin incorporates four natural sources of collagen to maximize results. Look for hydrolyzed grass-fed bovine, wild-caught fish, free-range chicken, and eggshell membrane collagen on the label. Bovine collagen consists of types 1 and 3 collagen, both of which are essential building blocks for the skin, nails, hair, muscles, and more. This potent source of amino acids can stimulate the body’s own natural collagen production as well, so it delivers double the results. Wild-caught fish is one of the best-absorbed forms of type 1 collagen available. It’s absorbed by the body 1.5 times faster than bovine or porcine collagen and enters the bloodstream instantaneously. Better yet, fish collagen has been shown to boost natural collagen synthesis and quality, so your body can sustain results in the future. Free-range chicken contains type 2 collagen, which provides support for cartilage and bones. Though this doesn’t directly influence your skin, it offers the alternative benefits of reducing joint pain and protecting your body from the risks of osteoarthritis. Eggshell membrane collagen is a potent source of type 1 and type 5 collagen. 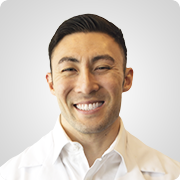 Nourishing your body with eggshell membrane collagen on a daily basis provides the proteins essential for maintaining healthy connective tissues and accelerating wound healing. What’s the Best Time of Day to Take Collagen? Some supplements and medications require specific timing, but collagen is flexible. The time of day that you take collagen isn’t nearly as important as your consistency. As long as you add collagen powder into your food or drink once or twice a day, every day, you’ll reap the rewards! It’s the end result that matters, so don’t convolute a simple process by worrying about timing. Simply incorporate collagen powder into your smoothies, coffee, oatmeal, or even your water to enjoy the benefits it brings. Not all collagen supplements sitting on the shelf are formulated with the quality your body needs (and deserves!). Some collagen products are clumpy, while others are made from animals that are fed antibiotics, steroids, and hormones. Yuck — you need a product that doesn’t compromise quality. The term “hydrolyzed” does matter, too! Hydrolyzed formulas are broken down into even smaller substances to improve absorption in the digestive system. The more collagen your body absorbs, the more dramatic your results will be. In fact, clinical studies in women aged 35-55 have shown that just 5 grams of hydrolyzed collagen a day can dramatically improve the texture, hydration, and elasticity of the skin. Those are the results you want to see! So the question is, Where can I buy collagen that meets those standards? It won’t exactly be sitting on the shelf at the grocery store. 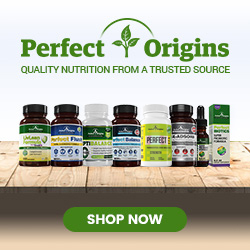 Perfect Origins offers a carefully formulated Multi-Collagen Protein Supplement that is proven to restore skin health and help you feel like the best version of yourself. Give this collagen supplement a try today — it won’t take long to notice the difference it makes!